Using a Lip Brush will give you that perfect lip line. Using a Lip Brush is a must for accurately shaping the mouth. Primarily its used to define the lip line, and gives more control when applying a lipstick or lip gloss and adds color in a deliberate precise way. One method of using this brush is to place a small amount of color on the bottom lip in the center and to blend towards the outer corners until the entire lip is covered, repeat with the upper lip. 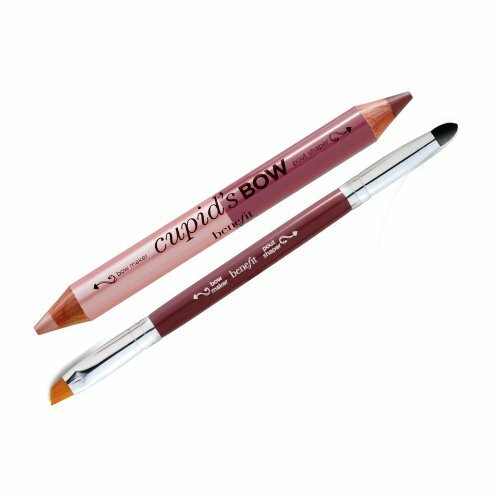 Another way of using this type of brush is by applying a lip liner the the outer edges of the lips, and then using the brush to blend the lip liner inwards towards the center of the lips. Follow this step by filling in the lips with a lipstick or lip gloss, or both to intensify the effect. If done correctly it will help your lips to have a well defined line without being looking harsh. One end of the double-ended pencil, the bow maker, accents & highlights the curve of your cupid's bow. The other end, the pout shaper, is for precision shaping to give you the perfect pucker. 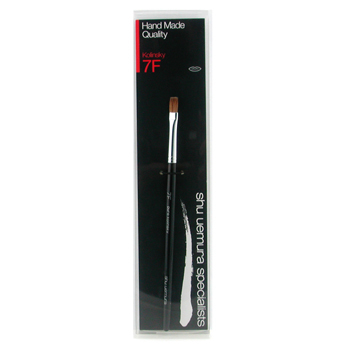 Comes with dual-ended brush & sponge for defining and blending. The professional way to shape and fill in lips. Retractable brush distributes color evenly. Handle provides optimum control. Ideal for precise definition and coverage. Clinique's unique antibacterial technology helps ensure a high level of hygiene.